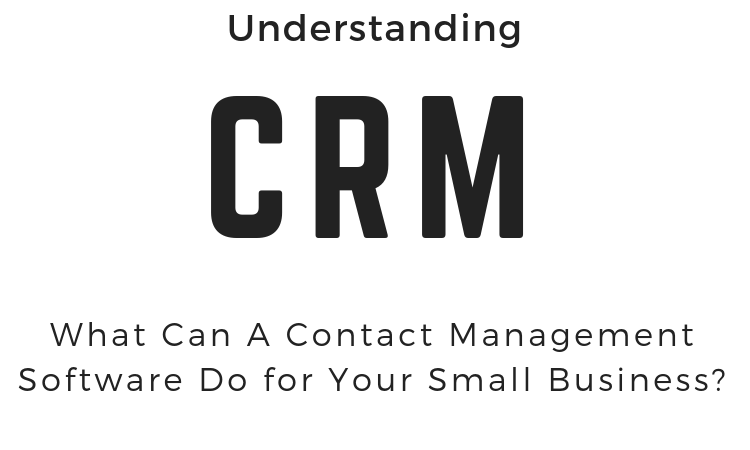 What Can A Contact Management Software Do for Your Small Business? When you run a small business, every moment is precious. There’s so much to do: finding new customers, ensuring current clients are happy, sending out contracts, promoting new products, dealing with invoices, and, of course, actually completing some projects. Whether you’re a solopreneur or have a small team behind you, the way you keep track of client information can have a real impact on your company and lead to either a flourishing business or one that is circling the drain. At many companies, employees start to look for a client’s contact information or purchase history yet the search reveals a list of three names that look nearly identical except for one misplaced letter. When the employee investigates the entries, they find that each has a different set of notes, tags, and purchases but all of them have the same phone number and billing information. A small typo can cost you hundreds or thousands of dollars in lost revenue as you miss out on an opportunity to reward customers for their repeat business. Add to that scheduling mishaps, missed connections with leads, and disorganized spreadsheets and you have the potential for a small disaster, unhappy customers and or at least some really unprofessional moments. While these kinds of human errors are somewhat inevitable, you don’t have to settle for manually doing every business task. Instead, you can maximize the overall efforts of your small business by using contact management software. Sometimes referred to as a CRM (client relationship management software), this type of solution can positively impact your business’ ROI by automating repetitive, mundane tasks and saving countless hours on administrative activities that don’t generate revenue. No matter what type of services you offer, implementing the best contact management software can do wonders for your small business. These solutions are designed to collect data, so make sure that you put that data to use by analyzing it. You should be able to quickly see patterns and discover valuable insights as well as easily identify new opportunities for developing deeper, more prosperous relationships. You can effortlessly make each contact feel like they are your most important client by sending them personalized content at just the right moment and recalling specific information about previous conversations thanks to your detailed notes nestled into their contact file. Contact management systems provide you with the flexibility to use all of the features offered or just the ones you need. Your teams will be able to stay more organized, and you’ll see a significant boost in productivity by automating sales processes and marketing campaigns. The end result will be increased profits, hours of saved time and happier customers. When used to its fullest potential, an online CRM will transform every aspect of your business’ operations.